I would be interested in seeing the suite run with Hyperthreading disabled too. See if increased context switching and various cache misses affect throughput or not. Yup – part of my plan. Fascinating. 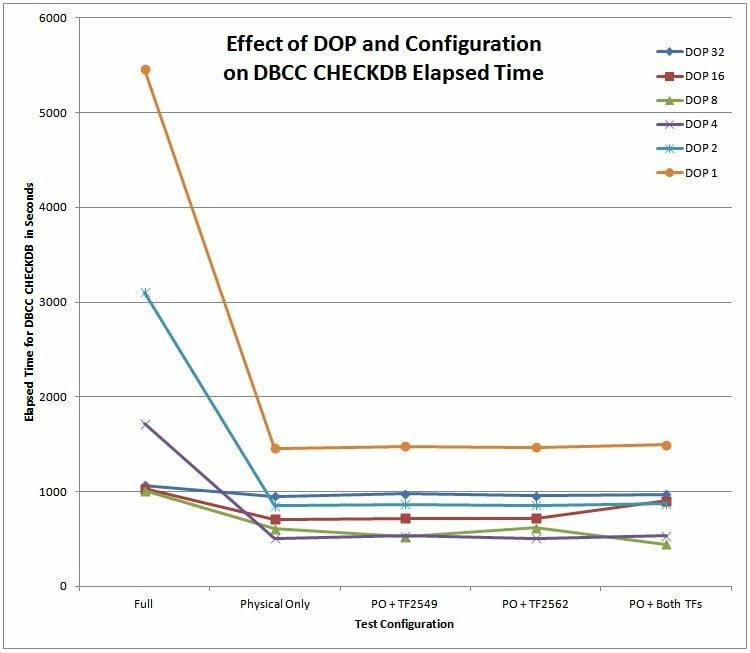 I was surprised by the DOP 8 thing, but it’s an interesting coincidence when taken with other advice to limit MAXDOP to 8 for physical cores greater than 8. In this case database is split over 8 data files, does the best DOP = 8 relate to file number? Is DOP = 8 still the best value for 1, 4, 16 files? I haven’t done any testing based on the number of files. I’m also wondering if the best DOP for this test will vary directly with the number of files. Eight files, 8 DOP is an interesting coincidence. It will be good to see how that unfolds. Since you’ve provided a solid description of the test bed, I’m sure some others can replicate and then deviate to get those answers. The sweet point of 8 DOP, suspiciously correlates to NUMA, if you assume (only testing would prove) that hyperthreading is not ideal in this situation. Be interesting to run the same test with 6 core processors and see if 6 is the sweet spot for that system, sadly I don’t have the resources to do that. Here you have only 2 drives, so this trace flag 2549 might be not be so effective….. 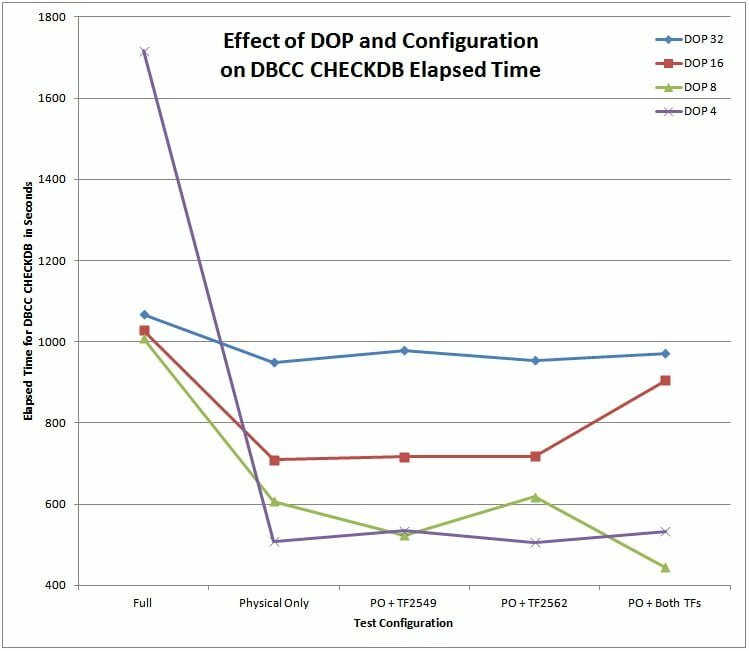 Trace flag 2549==> If the underlying disks are actually unique when the drive letters or not, the DBCC CHECKDB command would treat these as one disk. When this trace flag is enabled, each database file is assumed to be on a unique disk drive. Do not use this trace flag unless you know that each file is based on a unique physical disk.